Gap is a Responsive Premium WordPress Theme built on a powerful framework. Whether your a WordPress advanced user or just a beginner, you?ll have absolutely no problems working with this theme. The Theme Options is very clear and easy to use! Exclusive Polaroid Slider : Try the Polaroid slider. This slider is exclusivly included with some of our theme! Responsive : Gap is fully responsive. Your website will be resized automacally for the Smartphone and tablets with no need of boring mobile plugin. Everything is done… enjoy it! Unlimited Homepage Layout : Gap provide you tons of shortcodes to do whatever you want to have you page layout the way you need it. Custom Post types : We use the best function in WP 3.0+ to manage easily Portfolio and Slides. Advanced Background settings : Define one default background for the whole site… and manage the background for each post, page and even the custom post type to have a unique page. This is truly awesome, and easy way to have uniqueness. 7 Custom Widgets : Instagram (built-in with no plugin), Flickr stream, tweets from Twitter, Advanced Last Posts, Portfolio Posts, Subpage Navigation, and Social Links. 120+ Shortcodes : Play with our 120+ shortcode and be creative with all the combination your can do. You can even use shortcode to have Portfolio Item you have uploaded! 3 Filterable Portfolio Layout : Choose between the 4 layout we include, and let people fall in love with your work. Edit the CSS without coding : We built a easy-to-use panel to edit some CSS of the theme. Don’t be afraid of customizing your template even if you are new to CSS, just choose what you want from our panel and voila! SEO Optimized : The template use the best practice of SEO. Cool 404 page : Check out the 404 page, how cool is that? Note that some of the CSS3 functionality are disabled in IE9 due to its lack of support. Require PHP5. 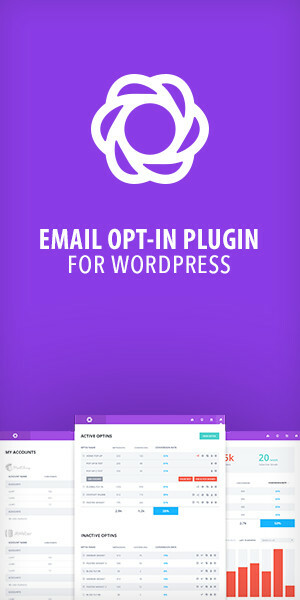 · Fully compatible with the latest WP. · Fixed the blank slide issue with NivoSlider. · Fixed current menu css issue. · Fixed a bug on the search page. · Updated Twitter Widget with the new API. · Fixed responsive issue with the blog shortcode. · Blog post now take time format from WP option. · Fixed a clearfix issue for the portfolio shortcode. · Fixed foreach error for good! · Fixed issue with comment form. · Updated to the last metabox version. · Fixed custom sidebar issue. · Fixed image issue for the homepage. · Fixed Polaroid slider and menu for Internet Explorer 9. · Fixed some IE bug. · Fixed some issue with the Tablets/Smartphone.